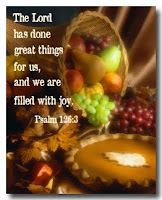 These thoughts by Randy Vader (PraiseGathering Music Group) beautifully express the true spirit of Thanksgiving. to seek Your holy ways. for the Savior, Christ, Your Son. as You lead us by Your hand.